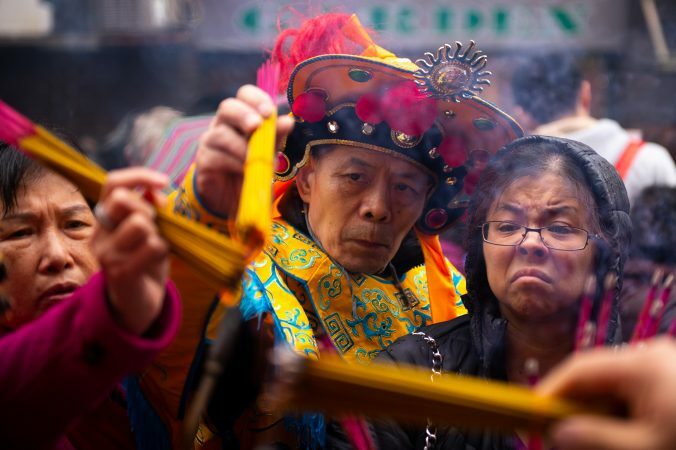 Hundreds of people came to Philadelphia’s Chinatown Sunday — many by the busload from as far as Washington, D.C. and New York City — to celebrate a southeastern Chinese god’s 1,189th birthday. 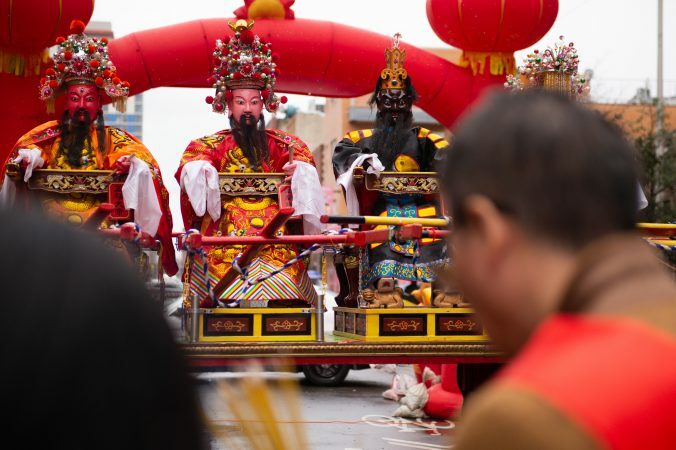 The god was General Humin, whom worshippers credit with bringing prosperity to China’s Fujian Province during the 10th century by opening the ports and building schools. That’s according to organizers of the Chinese Hoyu Folk Culture Festival, named for a township in Fujian. The general was elevated to god status after his death and is seen as a protector of the Fujian Province. 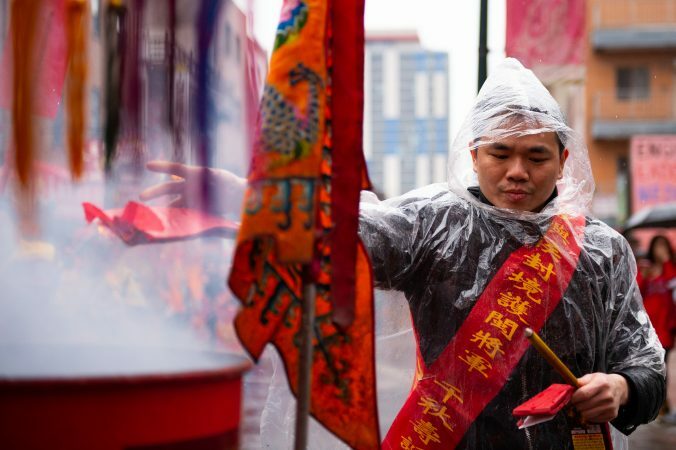 During the festival, the general and other local gods are celebrated with fireworks, music, and burned silver-and-gold covered papers representing money. 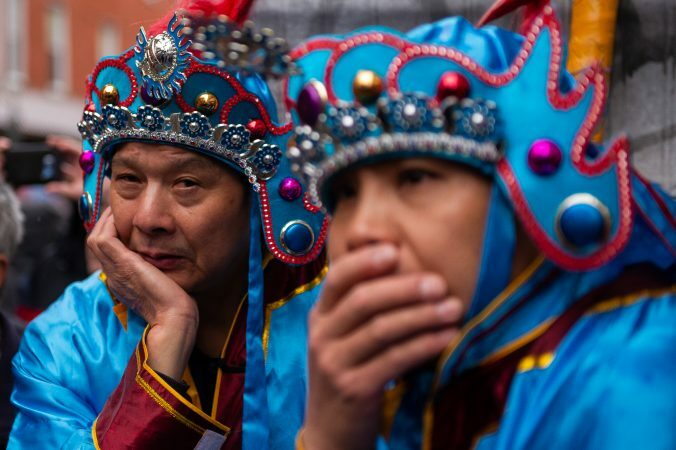 As they marched through Chinatown, attendees young and old said they long for the seaside coasts of Fujian Province, which sits on the southeastern part of the country with warm weather comparable to Florida’s. 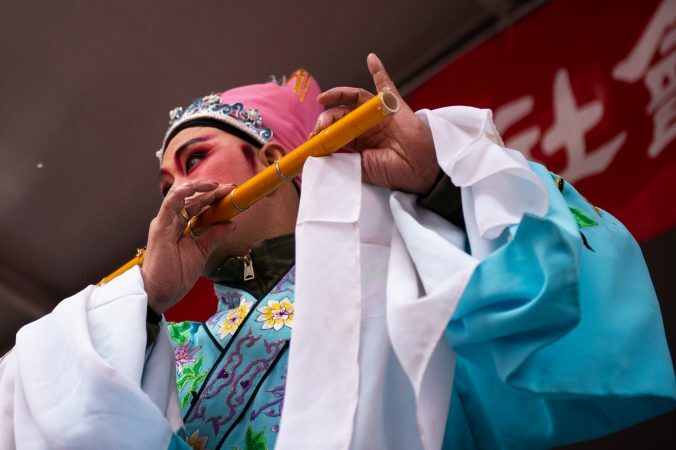 For many, Philadelphia’s Hoyu festival, now in its eleventh year, is one way to stay connected with others from that region of China — and to ensure that knowledge of the local gods is passed on to future generations. 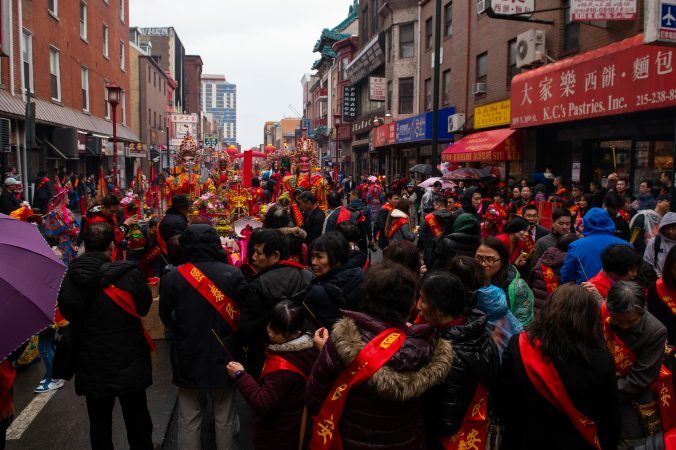 Organizers of the festival — which features lion dances, chinese opera, and prayers with incense — say Philadelphia has an active community of immigrants from Fujian. 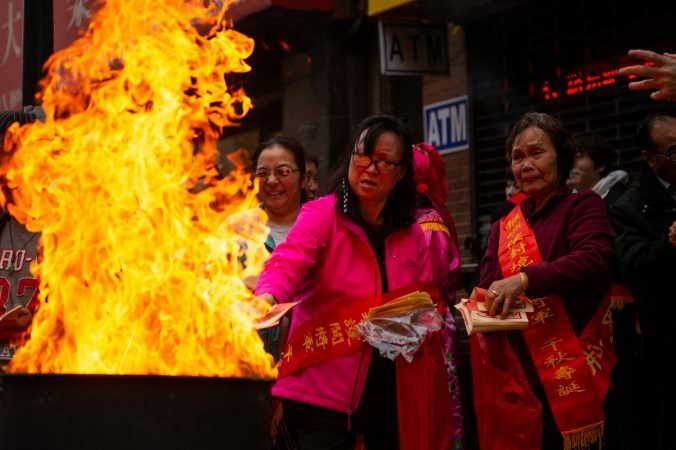 They estimate 1,000 people here have connections to that part of China, and that’s allowed them to build a temple here that celebrates the gods of Fujian, which cities with greater numbers of expatriates have not. 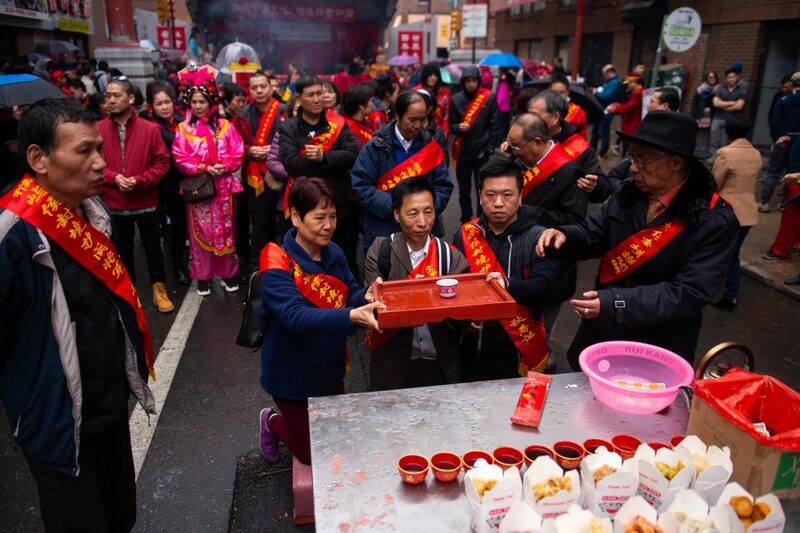 Still, even with an active community, many younger people from Fujian say the future of celebrations like these in the United States is tenuous. 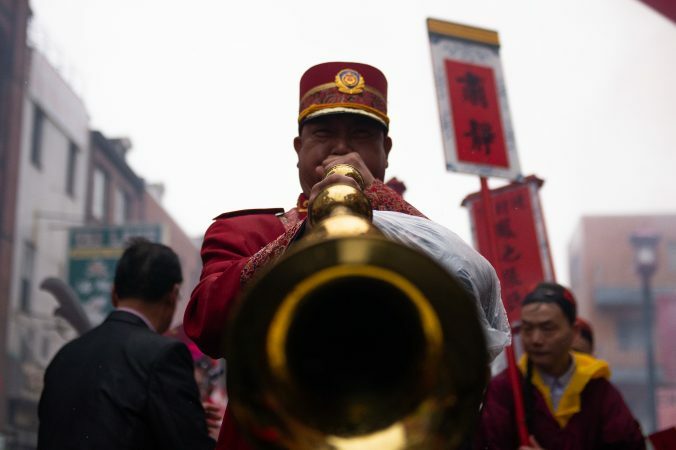 Zhang hasn’t gone back to his hometown of Hoyu in the 20 years he’s been living in the United States, but he said he’s doing his best to keep at least this tradition of attending the Hoyu Festival alive. Still, he and several of the other younger attendees were quick to say they don’t know all of the more than a dozen deputy generals and gods on display at the festival. They just know they’re there to be with family and to ask for good luck. 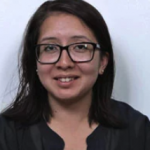 “It’s hard to carry on because the new millennials don’t want to do this anymore,” Zhang said. Wei Chen, who came to the United States from Fujian 10 years ago when he was 16, understands this dynamic firsthand. In particular, Chen worries his hometown’s dialect is going extinct because there’s no school that teaches it. The only way young people can learn it is from the older generations and speaking it every day. Though he no longer feels as homesick as he once did, Chen doesn’t want to lose his connection to his roots. Chen is one of the young people more familiar with the different roles of the gods — one protects fishermen, another infants and their mothers — and he’s more than happy to share what he knows. For Yan Juan Jiang, a first time attendee who made the trip from Brooklyn, the three-hour drive was also more practical. Jiang said she flew to China with her husband for the festival last year and while that celebration had hundreds more people and much more food, it was also expensive to fly there. Ultimately, she said this is the closest gathering for her to see other people from Fujian Province and other members of the community also join the fun. 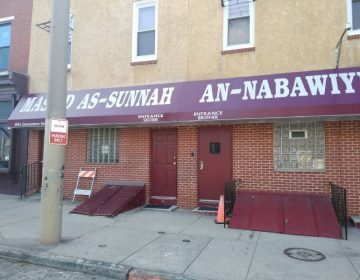 Muslims from all over Philadelphia come to the services at Germantown Masjid, with the Friday congregational prayer getting anywhere between 800 to 1200 people. 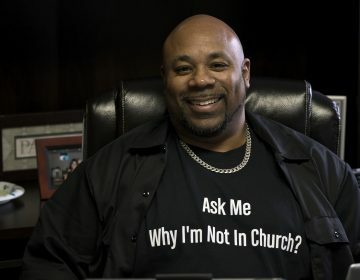 Missio Seminary in Montgomery County is launching a new program to help pastors manage the stress that can lead to burnout. 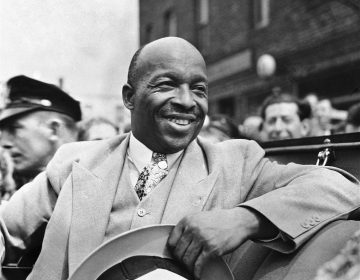 Father Divine: Charismatic cult leader or civil rights pioneer? Why Father Divine, the man behind the iconic Divine Lorraine Hotel on North Broad Street in Philadelphia, left a complicated legacy.